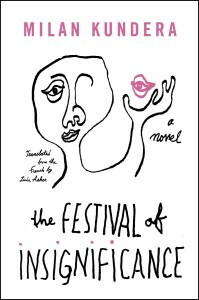 Milan Kundera’s The Festival of Insignificance celebrates the philosophy of the ordinary: this short novella is as profane as it is mundane and exists in a comical realm somewhere between the two. The story revolves around five men and a party with which none of them wish to be involved. While wandering the Luxembourg Gardens after receiving a clean bill of health, D’Ardelo meets Ramon, an old acquaintance, and spontaneously tells him he’s dying of cancer. D’Ardelo decides to throw a party to celebrate whatever’s left of his life. He immediately regrets this decision, but in just a few pages caterers and bartenders are lined up, including Ramon’s friend Charles and his associate Caliban, a perpetually unemployed actor. Alain, a fifth acquaintance, wanders nearby, lost in thought. The men are prone to philosophical digressions. They discuss the millennial sexualization of “the navel,” a sly play on the inward, navel-gazing of the novel’s selfish cast. The theory here is that the other desirous zones of the female figure are all unique to each woman, but the naval, making a more frequent appearance in today’s fashion, is essentially the same on everybody. In a jump that only Kundera could land, they men also discuss, at length, a joke about Stalin and his incontinent associate Kalinin. In a story that would fit snugly in a tabloid magazine (“Dictators: They’re Just Like Us!”), Stalin tells an exaggerated tale of his hunting prowess and nobody has the nerve to speak out against his lies. Meanwhile, we’re told about Kaliningrad, perhaps the only Russian city that hasn’t changed names during the tumultuous tide of Russia’s Autocracy. One would think that Kalinin must be particularly extraordinary to hold on to such an honor, but the opposite is true: as Kundera and his characters explain, he’s famous for little more than his weak bladder. These digressions are silly, borderline stupid, but presented with such control and concision that The Festival of Insignificance obtains an astonishing pulse of meaning with every new layer. 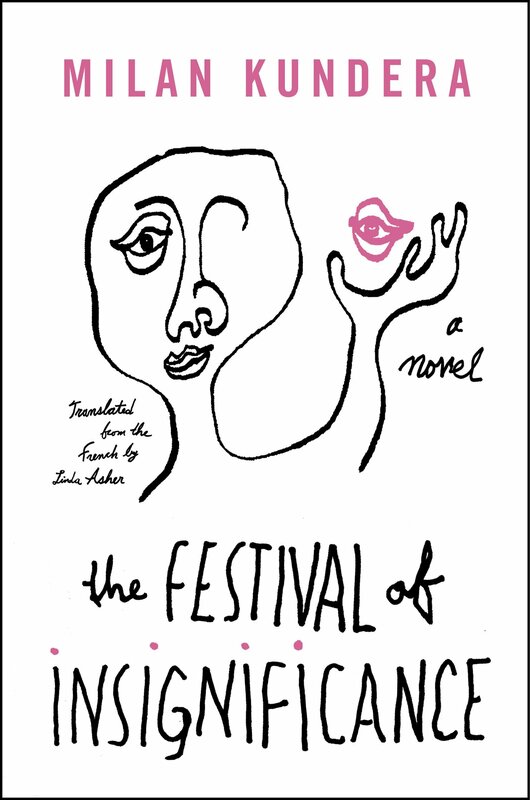 Readers can jump in to any of these ponderous distractions and find pathways to every other node of Kundera’s novella. It’s remarkably easy to connect the story of Kalinin and Stalin to the navels in Alain’s daydreams: show me an extraordinary navel, or an notorious leader, and I’ll show you a world full of people and parts just like them. The joke here is that everything in The Festival of Insignificance can be mined for meaning, all of which circles back to the world’s futile attempt at individuality. The entire novella is built on not just a lie, but one that’s actually a truth and shared by everyone. We’re all dying, technically, but D’Ardelo wants his exit to be ushered in independently of everyone else’s. His party is uneventful, and frankly quite dull (the guests literally all pause to watch a feather fall from the ceiling). Meanwhile, elsewhere in Paris, an unnamed character drowns. After the party, the characters carry on as before: they’re back in the Luxembourg Gardens, trying to find a reason not to go to the Chagall show and wait in line with a bunch of tourists. But Ramon finds this lack of progression (both in his life and in the novella) newly comforting: Insignificance, he claims, is the “essence of existence.” “My friend,” he tells D’Ardelo, as the novel fades out, “inhale this insignificance that’s all around us, it is the key to wisdom, it is the key to a good mood…” Kundera leaves us puzzled, but smiling, and perhaps a little wiser as we make plans for what to read next.